October 31st is a day that many families celebrate by dressing up and going trick or treating. Christian families, though, often celebrate October 31st for an entirely different reason. On October 31st, 1517, a German monk by the name of Martin Luther protested the Roman Catholic practice of selling plenary indulgences (a slip of paper that excused the purchaser from paying the debt owed for all of their sins) by writing out a list of 95 concerns. In Latin. This monk, who was also a priest, a district vicar, and a professor, happened to be a student of Scripture and a brilliant man. He took his list to a printer to have copies made and then nailed it to the door of the Wittenberg Castle Church. HEY! There are freebies in this post! It was like posting an issue for debate on the university bulletin board. Luther didn’t expect that anyone other than Church officials and university professors would see his list. The document wasn’t a secret–he sent a copy to Albert, the Archbishop of Mainz. He truly wanted to open a debate and inspire change. Martin Luther was certain that if Church officials knew what was happening in his little area of Saxony in Germany, they’d fix it. Immediately. The thing is, the Church did know. Selling plenary indulgences in Germany was a scheme that Albert of Mainz and Pope Leo X cooked up. They split the money earned to pay for the ongoing work on Saint Peter’s Basilica in Rome–and Albert owed Leo X some money after he purchased his archbishopric. It seems Leo X had spent quite a bit of the Church’s treasury in a big party when he was elected. Neither Albert nor Leo X had an issue with a little simony, either, it seemed. Martin Luther, of course, knew none of that. He just knew that Scripture is clear–we don’t pay for our salvation. Martin Luther and the 95 Theses would have been a small local issue, or perhaps a broader academic debate among scholars, had it not been for the printer. That sneaky printer. He translated Luther’s Ninety-Five Theses into German. That document was distributed throughout Germany, then across Europe–translated into the languages of the local common people by printers along the way. 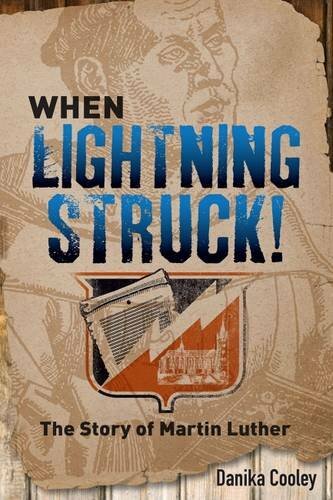 Listen to me read the first chapter of When Lightning Struck!. The Roman Catholic Church had been in need of reform for quite some time. Church officials had long complained of issues of simony, corruption, broken celibacy vows at all levels of the Church leadership, and plenary indulgences. Martin Luther’s study of Scripture led him to take issue with more and more teachings of the Church. A prolific writer, he taught Scriptural concepts in books, pamphlets, and sermons. The response was an all out battle. Reformers and adherents to the Roman Catholic Church chose sides and fought over who and what was supreme. It could either be the Pope or Scripture. But not both. The Reformation of the Roman Catholic Church had been tamped down for about two hundred years before Martin Luther came on the scene. Reformers were often labeled heretics and publicly martyred. But Reformation could not be held back any longer by the time Martin Luther published The Ninety-Five Theses. Martin Luther’s work and life led to both the eventual reform of the Roman Catholic Church, and the development of the Protestant Church. From there, Christians fought for a continued return to the teachings of Scripture. Though Protestants don’t always agree on doctrinal issues, we do agree that we’re saved by the grace of God alone, through the faith that He gives us. We agree that Scripture is the Word of God, and the Bible can be trusted to reveal His will to us. We can have a personal relationship with God our Father through the atoning work of Jesus Christ our Savior and the indwelling of the Holy Spirit. When Lightning Struck! : The Story of Martin Luther is an historical novel for teens. In it, I tell Martin Luther’s story in an exciting narrative (written with my adventure-loving boys in mind!). You can download a free 12-week unit study on Martin Luther for middle and high school students. You’ll find that link below. Teens will learn about the important theological debates and central events of the Reformation, and be introduced to a number of the key players. They’ll come to know Martin Luther, the Father of the Reformation. By the time they finish the book, your teens will understand how God used Martin Luther to change the world. His fight for Scriptural truth reverberated across all areas of life–political, religious, and personal. Teens will also recognize that Martin Luther was a man like all other men–imperfect and a sinner. Martin Luther clung desperately to the truth that he was saved by God’s grace through faith. Though When Lightning Struck! : The Story of Martin Luther is written for a teen audience, it makes a great family read-aloud. There’s nothing in the book that would make it inappropriate for younger family members. I have a great free discussion guide available for you to use as a family. You’ll find a link below. The When Lightning Struck! The Story of Martin Luther Discussion Guide is 34 pages long, full-color, and it’s free for you to download. Each chapter has discussion questions and timeline dates to add to the 4-page timeline I’ve included at the back of the guide. There are also short biographies of important figures, and relevant Scripture passages to consider with discussion questions. Want to download that Discussion Guide? Just subscribe to the Thinking Kids newsletter and receive encouragement, free products, and exclusive offers! The 12-week unit study for middle and high school students is ideal for use in homeschools or co-ops. Each week covers discussion questions on the biography chapters, timeline dates (there’s a timeline included at the back of the unit study), related Scripture to study with discussion questions, and a short biography on an important figure. The assignment schedule page for each weeks tells students what to study or write in each subject. In addition to the timeline, there are also vocabulary worksheets and maps at the back of the unit study. Each subject includes book suggestions that should be available at most libraries. Students can also just research subject matter online. There is no purchase in addition to When Lightning Struck! required to use the unit study. The art history section for each week’s study includes a biography page for an artist, and three notebooking pages with five art pieces by that artist. Students will be able to write about how each piece impacts them, how they feel about the work, and why. Can’t wait to read When Lightning Struck! We so appreciate your quality products. I’m so excited to read this! I’m looking at new class options to teach at my kids co-op, and a class on this book would be amazing! I would love to use this as a read-aloud for my crew of four. We love Luther too for speaking out when he saw something that wasn’t right. Wwe are studying the Renaissance and Reformation this year in our homeschool and this would be perfect to go along with it! Thank you for sharing your passion for Christian history, Danika! We just read about Martin Luther and his 95 theses in our Mystery of History lesson yesterday. This would be great to read for a more in depth study! We studied Martin Luther last year in history, and I cannot believe I didn’t connect the timeline for myself! 500 years! That’s will be great to discuss this year on Halloween along with our sin/pumpkin carving. I have been planning to purchase your book to read next month with my boys. How fun it would be to win it & that delightful little toy! We are celebrating this this year, and our year’s history studies revolve around this! My lo is very little, but I’ve been contemplating purchasing this book for myself. I’d love to win and use them as she grows. So great to be able to focus on this pivotal point in history! I’m excited to share the details of the story and Luther’s passion for truth with my kids. Last year was the first time we learned about Reformation day, and I’m excited to celebrate this year for the 500th anniversary!! Thank you again Danika for a great giveaway and for all the wonderful resources that you have reviewed on church history. We have purchased many of them and have not been disappointed. It is a precious gift to learn church history alongside my children and be inspired by the saints who have gone before us. Blessings on you and your family. I love living history books, and church history is even more exciting! I don’t have teens yet, but I would love to start this as a read aloud. We are just so excited to celebrate the anniversary of the reformation! Our church has been talking about it a lot, and I would love this resource to continue the conversation at home. I’m so excited about this!!!! Church history is something that I didn’t study much of growing up but I have been now for a while. I want my kids to know the importance of the Reformation as well as the kids I teach at our Church. 500 years!!!!! We love Martin Luther and how he took a huge stand to defend our faith and tell the truth. We also love his hyms, writings, and commentaries. This looks like a great resource and great timing for the 500th anniversary! This book sounds wonderful! Looking forward to reading it! Would be an awesome way to begin our school year! I like books about Martin Luther, so this would be great. Would love to have a Playmobil Luther as well. Playmobil is such a great way to help children bring learning to life and what better way to celebrate Oct 31st than learning about those who went before us. I hope we win! Martin Luther is someone that I want my family to know about and the changes that came about in part because he read his Bible. Someone will be blessed with this, so thank you for the give away. Looking forward to having a 500th anniversary party!! I’m excited about this important anniversary. Thank you for the chance. Martin Luther is a really important person in church history so a good biography of him would be great. 500 years! I didn’t even know that. I would love to read this book! I also want to use it to teach my kids how important it is to think for themselves and not simply accept what the leadership says. I need all the help I can get when it comes to teaching History so this would be a great addition! I have been hunting for reformation resources! We are planning a big party on Oct 31 to celebrate this historic event, and I need all the help/ideas I can get! I enjoyed learning about Luther when I was a kid. I’m excited to teach my kids about him and all he did. What an awesome read aloud to explain the Reformation. Thank you for the chance! We love learning more about church history. Martin Luther’s life is very interesting. We love reading your book. Good article above. I was always under the impression that Martin Luther wanted to break away from the catholic church and not that he wanted them to fix the problems and stay catholic. You truly do learn something new every day, thank you. Thanks for the chance at winning your book, it would make a great read aloud for anyone’s home. Love to learn more about our Christian history and am very interested in learning the whole story behind Luther and the break from the Church— thank you for this opportunity!! My middle baby is in love with learning things that happened before she was born so this is perfect for her. It’s hard to find anything engaging for her but history is a favorite of hers. I have been wanting to have a chance to read this book. I love hearing about Christian history. I am looking forward to this because I love any kind of history. This book “When Lightning Struck” is going to be interesting and educational to read. Thank you Danika for all these great and generous giveaways. What a great time to learn about Martin Luther and celebrate the 500 year anniversary. Thank you for this giveaway and for the lesson. I had no idea about this at all. This would be a great help. After reading, I feel like what we have studied of Martin Luther has only sratched the surface and we should study more for the coming days. We need to understand his prompting and timing for doing such as he did. I want to teach my children about the reformation and about Martin Luther. What a neat giveaway. My husband and I have been wishing each other a Happy Reformation Day on Halloween for years but I thought we were just odd! How fun that other people do it too! I love that there is a Playmobil Luther too! Thanks for this giveaway. 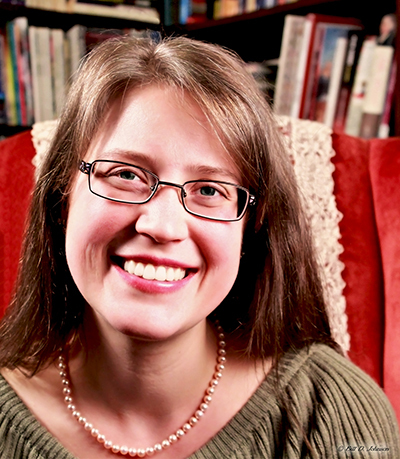 I would love to use your resource to teach my children about the reformation. Thank you for taking the time to write about Martin Luther to help us to better teach our children! Books sounds engaging for a range of ages! Always in need of a book that all my children can learn from. Such an important figure in history! We’d love to read this! My 5 year old is in Classical Conversations and one of his favorite parts of his history timeline song is about the Protestant Reformation. It’s a bit odd to have a 5 year old who sings about Martin Luther in the grocery store, but I love it! LOL. This would be a great supplement as he gets older and a the play mobile is a fun way to strengthen his natural curiosity sparked by his timeline song! Oh, I’d love to win this resource! It looks like a fun yet thorough way to introduce my kids to a major faith based historical event. I would love to cover this with my daughters! I have your book as an e-book (and thought it quite good when I read it last year — planning to reread it for the 500th anniversary again!) and would love a hard copy that I could share with friends! 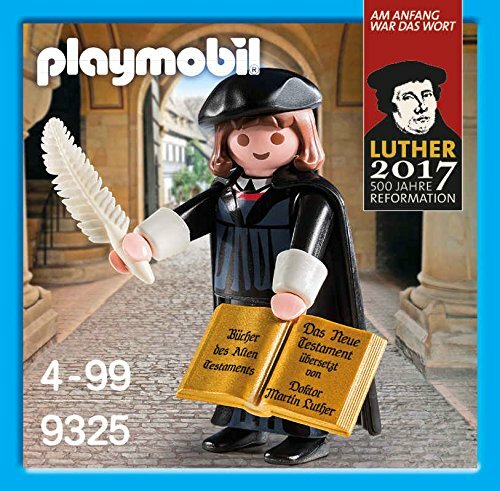 🙂 And the playmobil figurine would be lots of fun for my daughter, who is also interested in history and has read several simpler books about Luther — and might be ready for yours, soon, too. I would love to use this information with my 3rd-6th grade Sunday School class. I’m excited that my library will be ordering this book. Looking forward to reading with my daughter! I am so excited for this giveaway. This is perfect! We just started a study of Martin Luther yesterday. My family and I love learning about history especially church history. I’m excited to know more about the life of Martin Luther! Wonderful! I haven’t seen this before, but I am going to have to explore! This is the History time period we are studying this year and wanted to dig into Martin Luther as our in depth person to study! Can’t wait to read this book and add to our lessons! This looks amazing. I’d love to have my whole family listenas a read aloud to prepare for the 500th anniversary. And little ones would enjoy the Pplaymobil figure to go along with it. I’m excited about When Lighting Strikes because I don’t know much about Martin Luther myself and would love to learn right along with my children! We are new to your site, and I had not heard of the book: When Lightning Strikes! Kids are excited to hopefully win, so we can add that this year to our study. Thank you so much for the free Reformation materials too!!! I would love to win this to use in my homeschool. I recommend your resources to others and love your website! I have a great love for truth. This book looks intriguing! Teaching history in storybook format is the best! And my son would love the little Martin Luther!!! My Kids would love this book. We’ve been studying different missionaries and people in church history this year. It sounds really interesting and I don’t know much about the details of the story. Great book! Read it with my daughter this summer. We both enjoyed it! I don’t know much about the story, but we are always excited to learn new things and play with Playmobil! 500 YEARS!!! We need to celebrate!! We have been studying about Martin Luther and the Reformation this year. So excited to find a new book. This looks amazing! What a fun way to learn. I have eyed this resource for a long time and I know my children would love it!! We study the Reformation this year! Would love this book! We can’t wait to read this book. Can’t wait to read it with my grandkids. We are just coming to this time period in our studies!